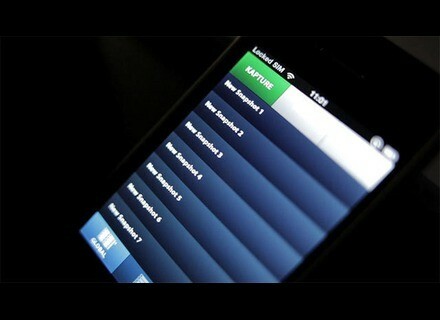 Kapture Pad, Virtual instrument for iPhone / iPod Touch / iPad from Liine. 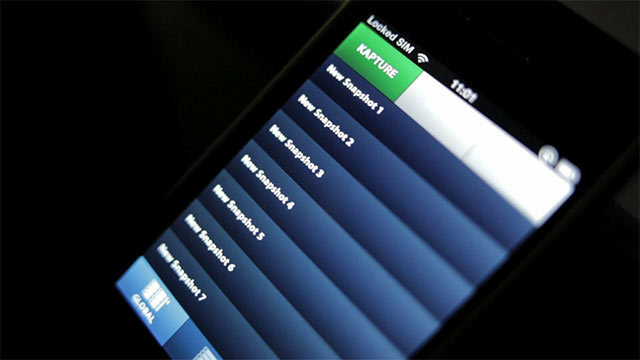 Liine has released version 1.2.3 of Kapture Pad, its app for iPhone/iPad to control Ableton Live. Apart from some bug fixes and UI improvements, this update introduces Global Morphing synced to the beat. You can now morph between different Global Snapshots in one tap and on the beat – from a 1/2 beat time to 64 beats of slowly evolving sound. The Track Morphing process has been optimized with a rewrite that enables it to be faster than previous versions, the company says. Now racks can go deeper, with this latest release Audio Effect Racks, MIDI Effect Racks and Instrument Racks get the proper Kapture Pad treatment. Liine explains that every parameter, "even on the most complex and shady racks," will get Kaptured. Native Instruments Maschine Mikro Native Instruments announced Maschine Mikro, combining the Maschine software with a controller, Maschine Mikro is designed to make the tactile and music creation approach of Maschine available at a reduced physical footprint and price. nineOnine: TR-909 Emulation The “nineOnine” for iPad is a sample-based emulation of Roland’s TR-909 drum machine. discoDSP Vertigo R3.1 discoDSP Vertigo R3.1 has been released for Mac + PC. It's a minor bug fix update release.